Yema Cake made of fluffy sponge or chiffon cake with Yema frosting. Sinfully delicious, this Filipino cake is perfect as a dessert or anytime snack treat. Hi all! It’s me Bebs, and I am back with a treat for the sweet-toothed fans of Kawaling Pinoy! 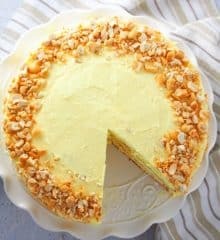 Lalaine recently posted her yummy Easy Yema Spread recipe, and people are asking for the Yema Cake she promised, so here it is. I love Yema and often enjoy them since I was a kid. 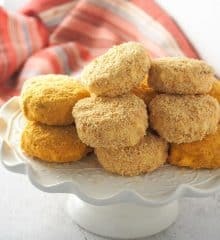 They’re a classic Filipino candy made from a mixture of milk and egg yolks cooked over low heat until thickened. 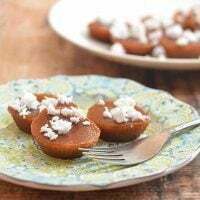 The sweet concoction is then shaped in pyramids or balls and coated in granulated sugar or dipped in caramel syrup for a crisp, golden shell. Lalaine also has a recipe for Yema that is deliciously decadent for those who want to try it. Yema has been a Philippine delicacy for centuries, brought on by the Spanish during the colonial period. The word Yema, in fact, means egg yolk in Spanish. But although the candy has been around for years, Yema Cake is somewhat of a new invention that has recently gained popularity. It’s a prime example of the Filipino’s creative ability to adapt ideas and make it entirely our own. What is a Yema Cake? The Yema cake has three components which all work together into a scrumptious, indulgent baked treat. Sponge Cake-the procedure is very similar to the one I used for making the Pianono, but I added butter for the extra buttery goodness. Since the yema spread is very rich and sweet, I also opted to make a lesser sweet sponge cake. Yema Frosting- I used Lalaine’s Yema Spread recipe and just cooked it a little longer to make it thicker and hold its form better for frosting and piping. Grated Cheese-I decorated the walls of the cake with almond slivers to pretty it up, but this is entirely optional. 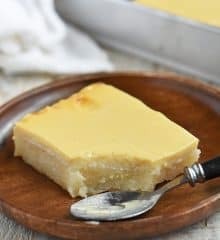 The grated cheese topping, however, is a must as it adds another layer of flavor and the saltiness of cheese provides the perfect contrast to the sweetness of the Yema frosting. 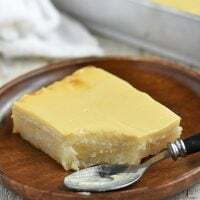 Give this Yema Cake a try; with delicious layers of soft, fluffy sponge cake, creamy golden yema, and salty grated cheese, it’s pure indulgence! It’s the perfect dessert for special occasions but easy enough to make for everyday sweet cravings. 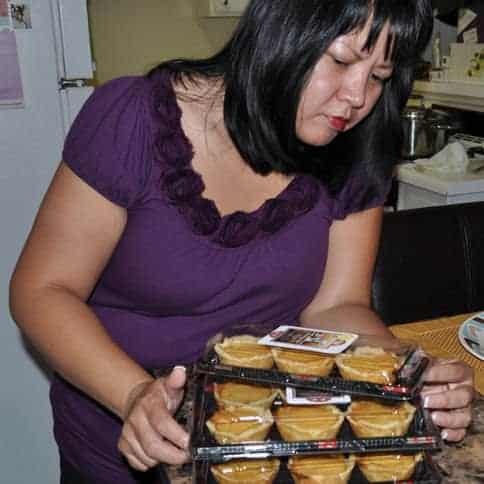 Make sure to check out my Buko pie, ube crinkles, and Pan de coco recipes on the blog and visit me at Foxy Folksy for more good food. Till next time! Preheat the oven to 400°F. Line the bottom and sides of an 8-inch round pan with parchment paper and set aside. In a bowl, beat the egg whites using a mixer at low speed for 2 to 3 minutes or until soft peaks form. Gradually add 1/4 cup of the granulated sugar, a tablespoon at a time, while continuously beating. Once all sugar is added, turn up the speed to medium and continue beating the meringue until it forms stiff glossy peaks. Set aside. In a separate bowl, cream the butter and remaining 1/4 cup sugar for 3 minutes or until light in color. Add the yolks one at a time while continuously mixing for about 2 minutes. Add milk, cake flour, baking powder, and vanilla extract to the egg yolk mixture. Beat until batter for about 2 minutes or until smooth. Gently fold in a third of the meringue into the egg yolk mixture and then add the remaining meringue and fold until well combined. Pour into prepared pan and bake for 30 minutes in the preheated 400 F oven or until a toothpick inserted in the center comes out clean. Remove from oven and let the cake cool in the pan for about 10 minutes before completely removing from pan to a cooling rack. Remove the parchment paper off the cake and let it cool down before frosting. 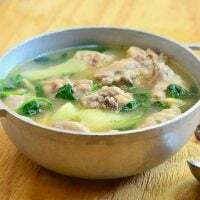 In a bowl, combine condensed milk, egg yolks, and salt (if using). Whisk until well-blended and evenly colored. In a wide, nonstick pan over medium-low heat, heat butter until slightly melted and still warm (NOT hot). Add egg-milk mixture and stir well to combine. Cook, stirring regularly and scraping sides and bottom with a spoon, for about 15 to 20 minutes or until mixture thickens to a spreadable paste. Remove from heat and allow to cool. Once the sponge cake is completely cool, cut the horizontally into half. Spoon about 1/4 of the yema on top of the bottom cake half layer. Using a spatula, spread evenly to cover the surface with about 1/8-inch thick of yema filling. Place the top layer half of the sponge cake on top of the frosted cake layer. 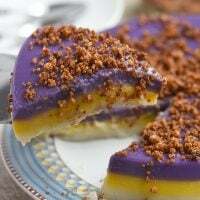 Scoop and spread enough yema frosting on top of the cake to cover the surface and make a frosting layer with about half-centimeter thickness. Set aside about 1/4 cup of the yema and using an offset spatula, spread to cover the sides of the cake. Scoop a handful of almond slivers and gently tap to the sides of the cake. Pipe the reserved 1/4 cup yema frosting on the top and at the bottom edges of the cake to decorate. Sprinkle the grated cheese on top of the cake. Note 1 - Using Lalaine's Yema Spread recipe would yield about a cup of frosting. Just double the recipe to use for this Yema cake which is actually more than enough. Refrigerate the excess and use as a spread or enjoy as it is. Note 2 - Just cook the Yema spread for a few minutes longer (3-5 minutes) to make it easier to use as frosting. Hi! Did you use salted or unsalted butter po? hi Ms. Bebs! do you accept orders for an occassion? its for my husbands birthday on the first week of November and I wanted to surprise him with a yema cake since its his favorite flavor of a cake here in PH. he is from Vancouver. if so, please let me know. thank you so much! This is the most elegant yema cake I’ve seen! Looks tasty too! Love the almond slivers idea as well. Good job, Bebs! Looks very yummy! What brand of cheese did you use here? Thank you.